Workout gurus and yoga influencers are found in all corners of Instagram. While individuals build up followings and influence their audience, what are brands doing to stay relevant? It takes a mix of constant posting endurance, flexible strategy and tenacity to reach new heights in the fitness world. Let’s take a look at how five fitness brands are winning at social media. This powerhouse fitness clothing brand brings a multi-pronged approach to their social media and digital marketing efforts. Lululemon is known for their leggings but the company makes a variety of fitness clothing and takes the time to engage with their audience. The feel of the online experience matches the in-store one and it’s clear a lot of thought goes into their social media planning. Their Instagram account is by far the most popular of their social media accounts. The company frequently features stories from the community. These highlights serve a few different functions. In the below example, it showcases the company’s social impact program. Additional benefits from highlighting members from the community include cross-promotion of the members’ efforts and providing inspiration for Lululemon’s audience. Their audience is a mix of people and among them are potential yoga teachers. Giving examples of community members who are succeeding in their careers while wearing Lululemon clothing provides further inspiration and encouragement to an audience that is likely to be highly engaged with their products. On Twitter, Lululemon likes to serve up short, tongue-in-cheek Tweets right alongside engaging conversation. The company also frequently retweets Lululemon Men, their local city accounts and other causes they support. In between the one-liners, customer service is performed with Direct Message links and customer engagement is maintained with conversational questions. While their Twitter account is used in many ways, it’s consistently apparent is that they listen to their customers and respond, both of which reinforce brand loyalty. Highlight community members who have inspirational stories to share with your customers. Inspirational Tweets can be short and sweet. With over 265 franchise locations across the world, Crunch Gym is known for its no-judgment, varied offerings and services. 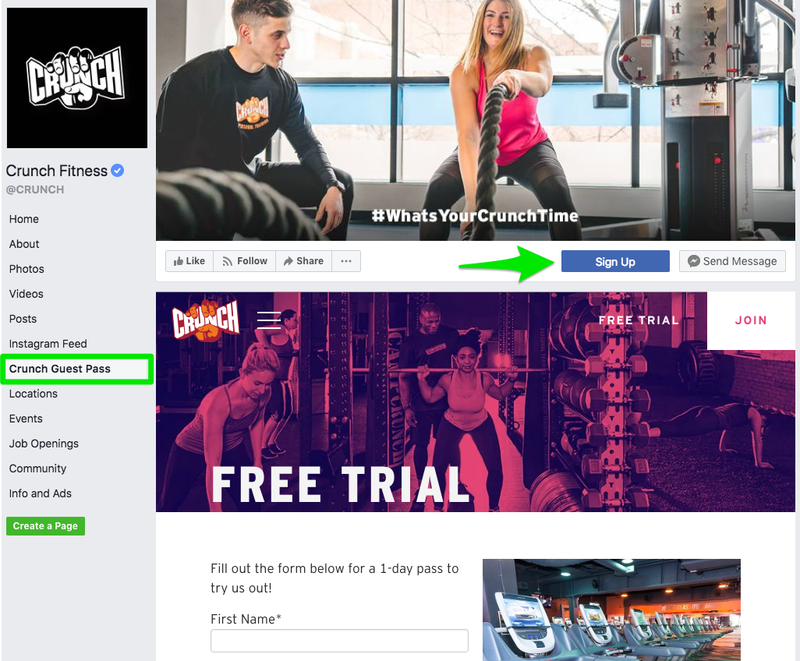 While franchise locations can have their own social media accounts, the Crunch corporate account provides plenty of content to get inspired by. On Instagram, a frequent topic is one exercise that’s presented by a Crunch personal trainer. Each video has bold text overlaid so they’re easy to find and includes the #CrunchGetsPersonal hashtag. These videos serve as quick tips for those who are looking to add to their gym workout routine and highlight their personal training program. Personal training is an add-on to the membership fee so this free information sharing is a great bonus for those who can’t afford the add-on or are still undecided on it. To go a step further, their Instagram account also includes Story Highlights for gym newbies. Topics like “Planks 101” and “Foam roll” provide basic, easy-to-follow tips from their gym trainers. The Crunch Facebook Page includes several points of sales for potential customers at varying levels of commitment. The call-to-action button says, “Sign Up” and a tab is labeled “Crunch Guest Pass.” The one-day free trial is a nice offer for those who are still deciding if it’s worth it to join. 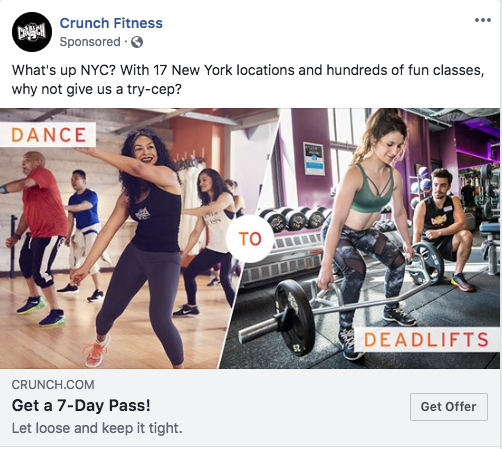 In addition to offering the permanent guest pass, Crunch also runs location-targeted ads that feature a 7-day pass offer. This extended offer is certainly more appealing and then geographic targeting helps them narrow their audience down. A narrower audience also creates an opportunity to add on interests and topics specific to that region. Perhaps the gym wants to target vegetarians in the Los Angeles area but not New York. Running the same offer in different areas to different people gives them space to customize. Give small doses of helpful information to educate your audience. Create different opportunities for signing up. It would be remiss to not mention Nike in a list of fitness brands who are dominating on social media. This clothing and accessories brand has a well-known slogan, logo and brand presence. Their efforts at storytelling in ads and videos have been studied by marketers around the world. 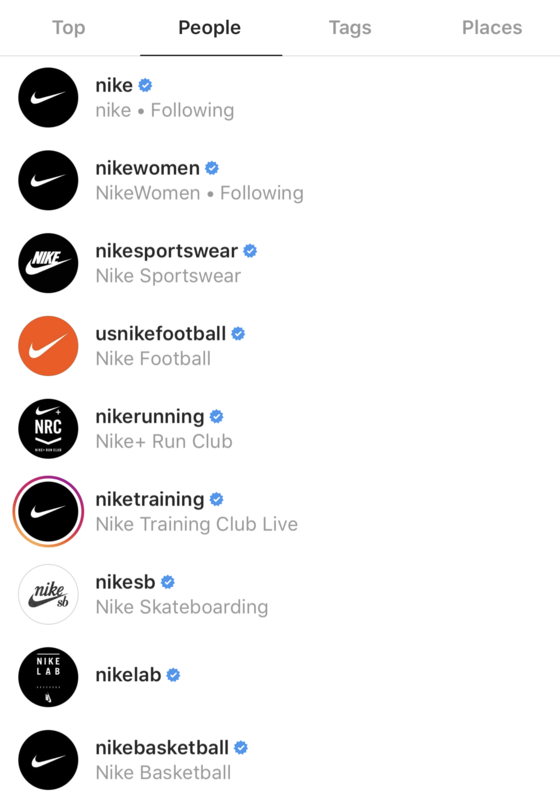 On social media, Nike has a main account and several offshoots with more specific topics. The main account mostly features professional athletes wearing Nike-branded clothing with a sprinkling of product-forward posts. Sneaker fans are in love with limited releases and are sure to follow news closely on social media. This collaboration sneaker was first released in-store at Humidity and then later at skate shops. This sort of release drives up demand and creates an urgent atmosphere for fans. Even better, pairing up with a local shop gives a little more focused credibility to a global brand. On Twitter, the brand engages a little more than it Tweets. Several of the photos and videos that are featured in their Instagram account also make showings on Twitter. They also take some time to respond to customer questions and issues. This isn’t surprising considering the data around how brands taking a stand pays off. 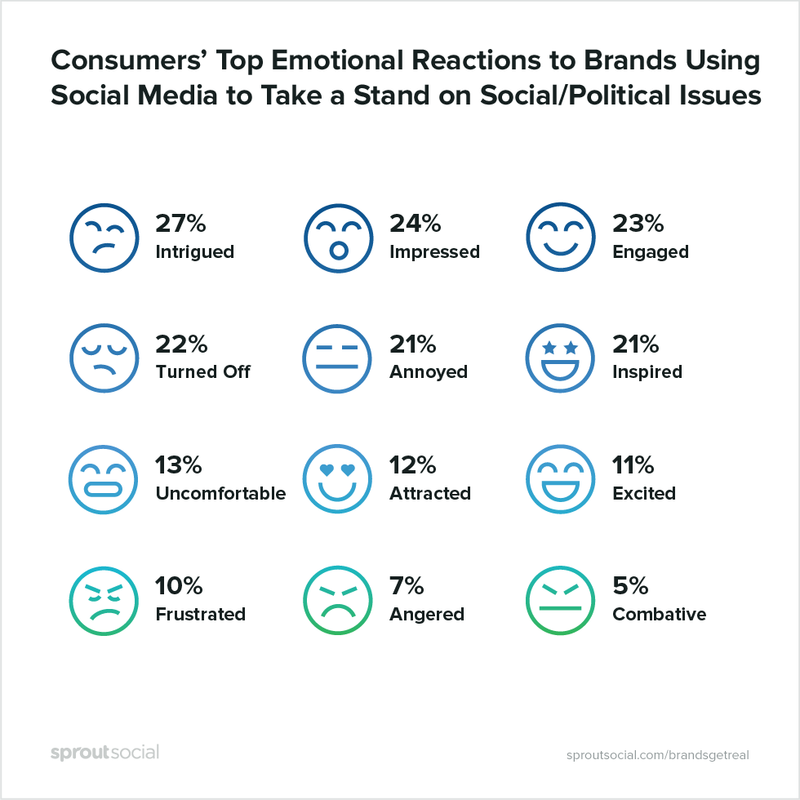 In a Sprout report, 44% of consumers who agree with a brand taking a stand on social or political issues will purchase more from a brand and 52% will show greater brand loyalty. Use storytelling as a way to inconspicuously promote your brand. Take a stand on a social or political issue that is important to your company. This nutrition app company puts together customized workout and meal plans. The brand appeals to a wide range of people: travelers, beginner fitness enthusiasts and healthy eaters. Their approach is a little different between Instagram and Pinterest but it’s clear that image-forward is the way to go for their marketing strategy. In addition to keeping consistent with their post topics, their website link leads straight to a website landing page. The page features a simple 7-question quiz at the end of which takes you to a personalized training program. It’s an easy introduction into their service and isn’t a big commitment for the user. Don’t be afraid to mix a little fun into your posts. Jokes and memes can have a place in your brand. Consider Pinterest as an advertising option if your target audience is there. A company that is based on the world’s largest obstacle race, Spartan also specializes in nutrition programs, wellness products and clothing. 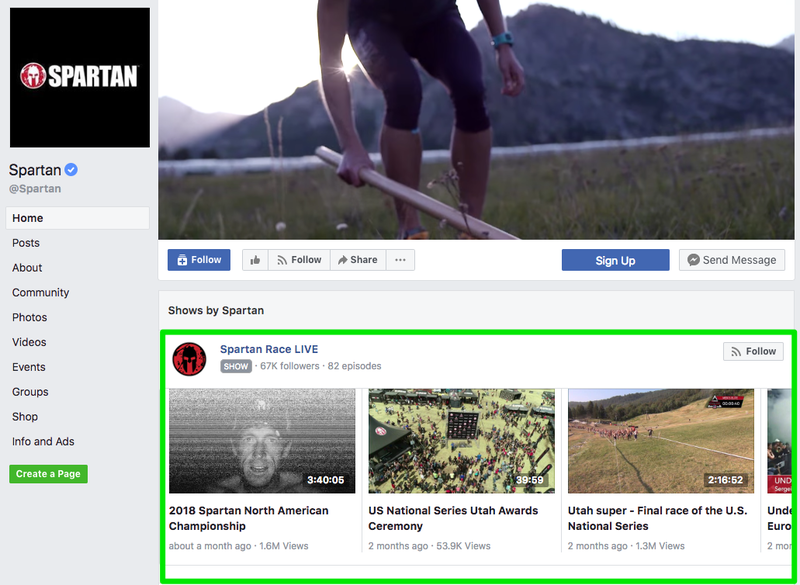 The main account focuses on the lifestyle component of the brand while Spartan Race covers the races and World Championship. On Instagram, Spartan posts race videos, inspirational quotes and conversational questions. They’re also not afraid to sprinkle a meme or two in there. The races take place all over the world and their mix of posts serve as encouragement to any future participant. There’s a feeling of kinship and community in the comments. If you’re not participating in a race, you’re either preparing for one or ready to watch one. With a combination of the streamed races and Live video posts of the athletes and course, the content is constantly updated and engaging. 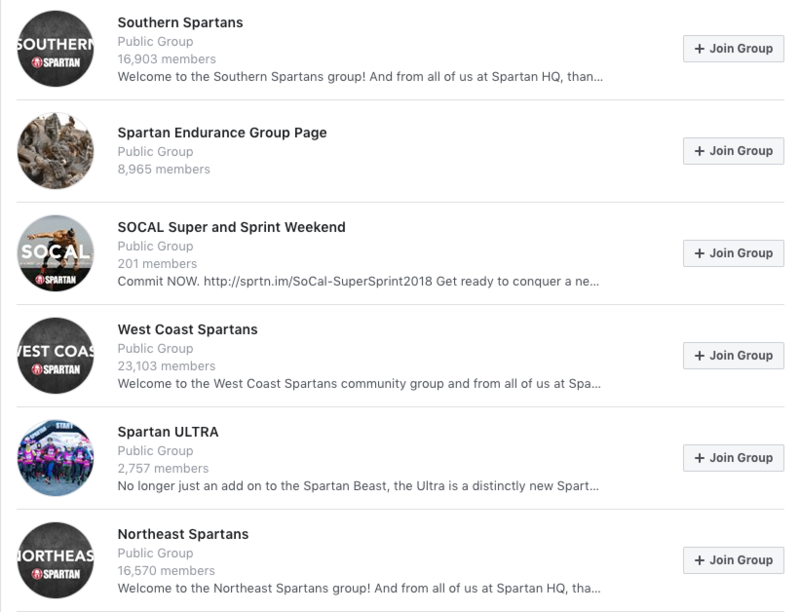 To extend the engagement, Spartan also takes advantage of topical groups. They have over a dozen specialized groups, ranging from geographic communities to various brand ambassadors. These serve as more community-driven hubs and offer up a chance for fellow Spartans to connect to each other. Ask questions and post inspirational videos to encourage community engagement. Use features like Facebook Live, Groups and Watch to enhance your brand’s experience.